Prezentare When the hero Vercingetorix was defeated he threw his arms at Julius Caesar's feet. Years later, Caesar plans to hold a triumph with his enemy's shield - but where is it? Romans and Gauls race to track it down, and Chief Vitalstatistix, dieting on a health farm, has a surprise to spring. 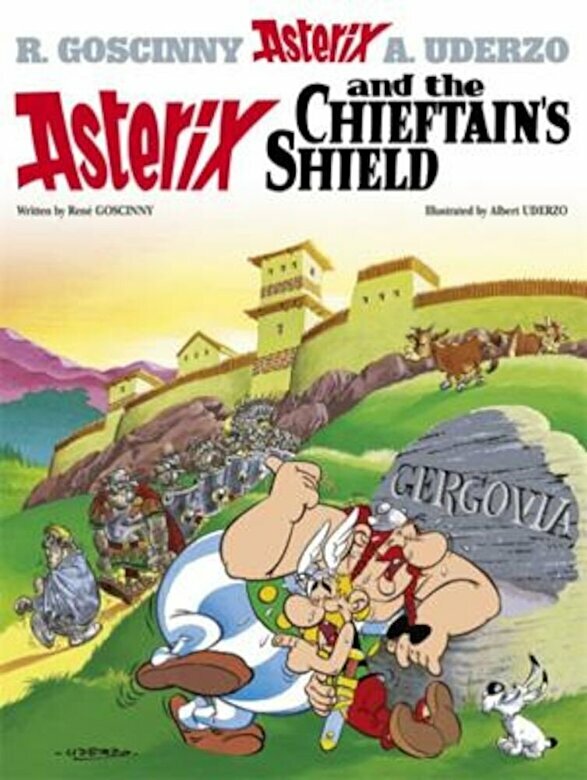 Will Caesar defeat the Gauls again, or will the truimph go to Asterix?